This Sinclair Comparator is an excellent tool to use to sort bullets by base to give length. This is a valuable step if you are considering trimming the bullet meplat. NOTE: When sorting a lot of bullets, a digital caliper is sometimes a better choice for some handloaders than a dial caliper. An alternative tool to use for sorting bullets is our Sinclair Bullet Sorting Stand (#59-2000) which uses its own unique comparators. 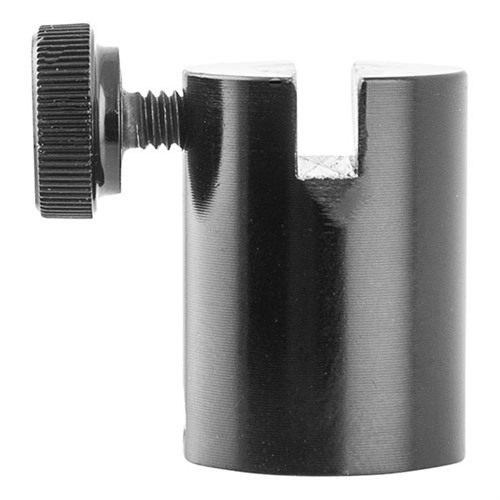 Our Sinclair Bullet Comparator attaches to the blade of your caliper and uses inserts for each specific caliber. The inserts are stainless steel and machined with a taper and a short straight section to more accurately duplicate the chamber throat. This eliminates the wobble experienced with many comparators which have standard drilled holes. Our design allows you to quickly and accurately measure the bullet's bearing surface of the bullet. Comparator inserts are available in 17 thru 45 caliber, and they can be used in both the Sinclair and older Stoney Point comparator bodies. 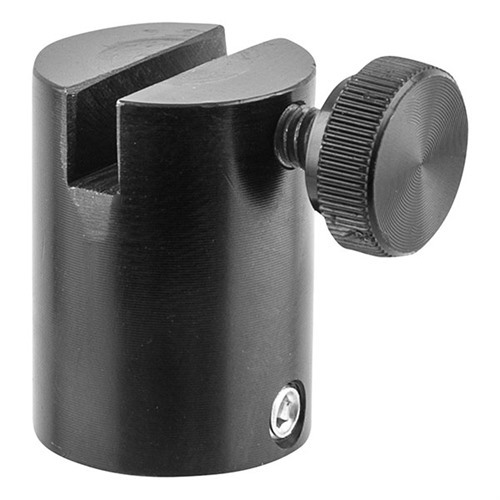 These inserts are not intended to measure rounds seated to magazine length or shorter. For this application please see our Sinclair Bullet Comparators (#09-600 and #09-700). Этот компаратор Синклер является отличным инструментом для использования для сортировки базы, чтобы дать Длина пули. Это важный шаг, если вы рассматриваете обрезки meplat пули. ПРИМЕЧАНИЕ: При сортировке много пуль, цифровой суппорт является иногда лучшим выбором для некоторых handloaders, чем набрать суппорта. Альтернативный инструмент использовать для сортировки пули представляет наш Синклер пуля сортировки (#59-2000) которая использует свои собственные уникальные компараторов. Наши компаратора пуля Синклер придает лезвие вашего суппорта и использует вставки для каждого конкретного калибра. Вставки выполнены из нержавеющей стали и обработанные с конусом и короткий прямой раздел, чтобы более точно дублировать горло камеры. Это устраняет колебания опытных со многими компараторов, которые имеют стандартные отверстия. Наша конструкция позволяет быстро и точно измерить пули опорная поверхность пули. Компаратор вставки доступны в 17 до 45 калибра, и они могут быть использованы в Sinclair и старых органов компаратора Stoney точки. Эти вставки не предназначены для измерения раундов сидящих журнал длины или короче. Для этого приложения, пожалуйста смотрите наш Синклер пуля компараторов (#09-600 и #09-700). I bought this comparator to use with the Sinclair XL Comparator body. It fits like a glove and gives accurate measurements from the ojive of the bullet to the base. Buy two of them and two bodies and you can also measure bearing surface of the bullet. I would definitely buy it again. I have the Hornady bullet comparator that I normally use. When my shooting partner and I noticed a .010 difference in our Hornady headspace comparator, I ordered the Sinclair bump gauge and the bullet comparator. The Sinclair tool is produced from quality steel and is well constructed. My issue with the tool is that on Sierra MK and Berger Juggernauts, it slides all the way down almost to the base of the bullet. I can't get repeatable results with this tool, where I can with the Hornady tool which is only made of light aluminum. The Sinclair tool does not seem to be measuring from the ogive, but more from the bullet base. 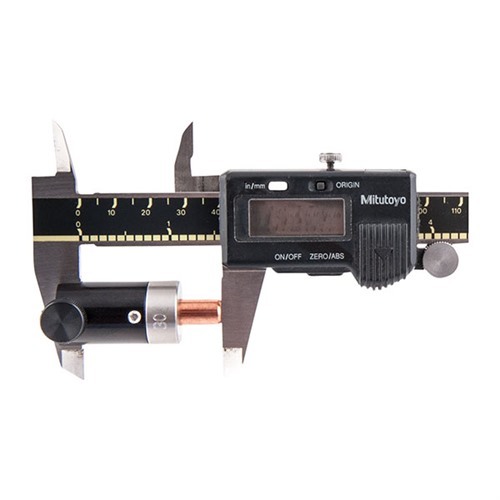 As another user reviewed, when used with Comparator body, it measure 1.1 inches, rather than 1.0 like the Hornady. Because of the inaccuracy and non-repeatable readings on the same bullet, I can't continue using this. I reviewed this item back in Jan 2015. However, I had just read that the manufacturer had some quality control issues back then, but these have been corrected, so I decided to give these another try. These new ones are much better than before, and hold the bullet securely at the ogive, or the pressure ring on the base by the boat tail. I ordered 2 to get readings on the bearing surface for different bullets, and I get accurate, repeatable readings every time. I have them in the Sinclair body. 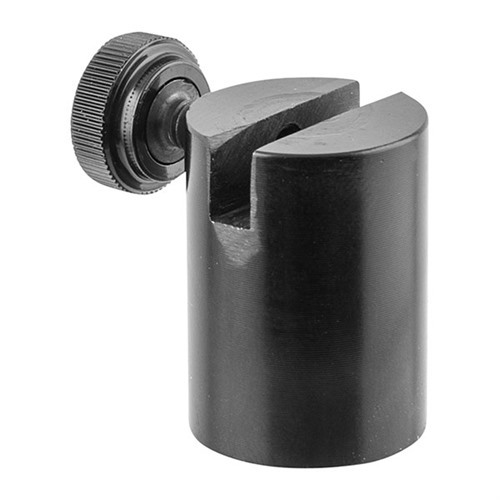 Since they are cut with a chambering reamer, the bullet fits securely in the insert. In my Hornady insert, the bullet will "wobble" since the insert is cut straight, and you have to make sure it goes on straight on the caliper. 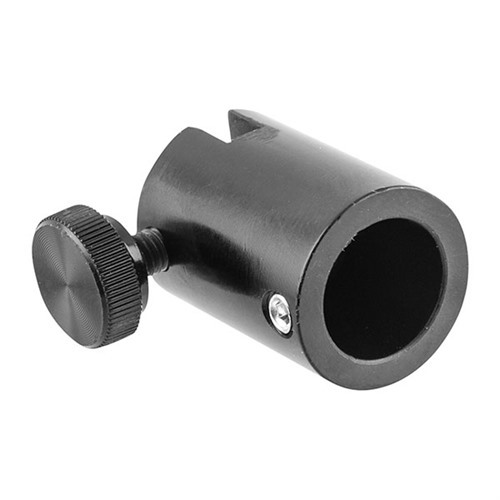 This inserts are made of high quality material, and are a must for competitive long range shooters. Measuring with a tapered comparator is much easier than with a 90 degree edge at the end of a straight hole. Using this insert with the Hornady LNL OAL tools yielded consistant readings on each test. No need to take multiple readings and find the average. A second reading to verify the first and your done. There is one difference though. Getting a reading is quickly done, but if you apply mild pressure and wait a bit you can watch the number go about .002 lower. It feels like your squeezing the air out from between the bullet and comparator surfaces. A tap on the side of the bullet's base is needed to release it from the insert. Rest assured, the insert left no marks on the bullets I measured. This review covers the 6mm insert used to measure 8 different bullets, 80 to 106 grains, by Berger, Sierra and Lapua. Used with the Sinclair comparator body and a caliper to check OAL (base to ogive or datum point) on the bullet. Easy to use with repeatable results. Get two comparators with inserts and length sort the bearing surface area of bullets to help improve accuracy. I was using this insert to sort 69 grain Sierra Match King bullets. The ogive on the bullet combined with the taper on the insert makes it hard to get repeatable measurements using a caliper. It's much too easy to cause the bullet to move further down into the insert while taking the measurement. The same thing happens with assembled rounds. For these bullets, the Hornady insert works better. I have a bullet sorting stand and comparators on order, I hope that is more repeatable. Also, I use a dial caliper. I can zero out the thousandth's but not the tenths of an inch. It would be nice if the comparator assembled to the insert would measure about 1.01 inches rather than 1.11 inches. It's easier to mentally subtract 1 inch from the measurement than 1.1 inches. If you use a digital caliper, it's not a problem. Simply does not work. When trying to measure SMK in 52, 69, and 77 gr, the comparator simply slides all the way over the bullet until it reaches the case. I have three different bullet comparators in 22cal, all three measures the ogive at a different point on the bullet. The Sinclair is the best it repeats, and is made of stainless steel so it will not change in time. If seating the bullets deep it maybe a problem it has the largest hole of the three comparator I have . This comparator works great for me. All the details in my rating for the 6mm comparator apply here too, but I've found a problem with the .204. To get optimum groups with my Cooper M21 20 TAC, some of my loads need to be seated very deep. The Sierra 32 gr MK and Hornady 45 gr SP achieve 0.25 MOA or better, when seated 0.100" off the lands. That's right, 1/10" jump! At this depth, this new comparator runs into the mouth of the case before it can come into contact with the bullet, so it's useless. And I'm not seating these bullets past their bearing surfaces. I'd like to see the geometry of this insert changed so that the max diameter of it's tapered hole would be 0.202". Right now I measure it at 0.211". In fact all of these new Sinclair inserts should limit their maximum taper diameters to (at most) the diameter of the bearing surface of bullet they are used for. Excellent quality - much better than the competition - made of steel - much better that aluminum. Thanks Sinclair! The hole in the comparator is that large the base of a bullet goes below the face of the comparator. I had to give it a star rating but in reality it doesn't even qualify for the one star. Advised to return it but International shipping is going to be more than the cost of the 3 comparator inserts. Hole sizing is incorrect on mine as well. And I'm not seeing an online way for tech support. Product is useless. The size issue that others have written has not been corrected. The hole is just too large, period. I am very surprised that this has not been rectified, especially coming from Sinclair. I was issued a return tag and I've asked for a Hornady comparator insert and a credit for the difference. I also ordered a Sinclair 22, a 6mm, and a 30 cal comparator, all of which work satisfactorily. 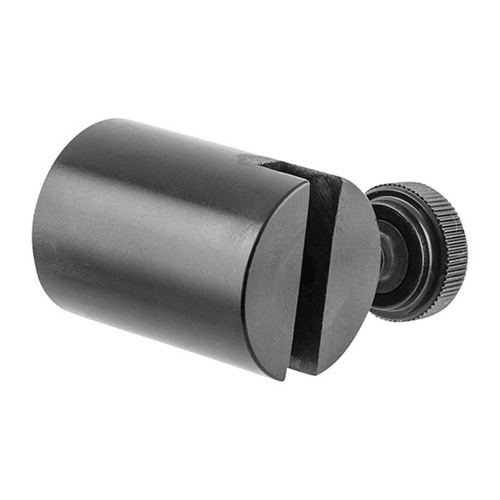 XL Bullet Comparator & Bump Gage Body 050806111332 Этот компаратор Синклер является отличным инструментом для использования для сортировки базы, чтобы дать Длина пули. Это важный шаг, если вы рассматриваете обрезки meplat пули. ПРИМЕЧАНИЕ: При сортировке много пуль, цифровой суппорт является иногда лучшим выбором для некоторых handloaders, чем набрать суппорта. Альтернативный инструмент использовать для сортировки пули представляет наш Синклер пуля сортировки (#59-2000) которая использует свои собственные уникальные компараторов. Наши компаратора пуля Синклер придает лезвие вашего суппорта и использует вставки для каждого конкретного калибра. Вставки выполнены из нержавеющей стали и обработанные с конусом и короткий прямой раздел, чтобы более точно дублировать горло камеры. Это устраняет колебания опытных со многими компараторов, которые имеют стандартные отверстия. Наша конструкция позволяет быстро и точно измерить пули опорная поверхность пули. Компаратор вставки доступны в 17 до 45 калибра, и они могут быть использованы в Sinclair и старых органов компаратора Stoney точки. Эти вставки не предназначены для измерения раундов сидящих журнал длины или короче. Для этого приложения, пожалуйста смотрите наш Синклер пуля компараторов (#09-600 и #09-700).